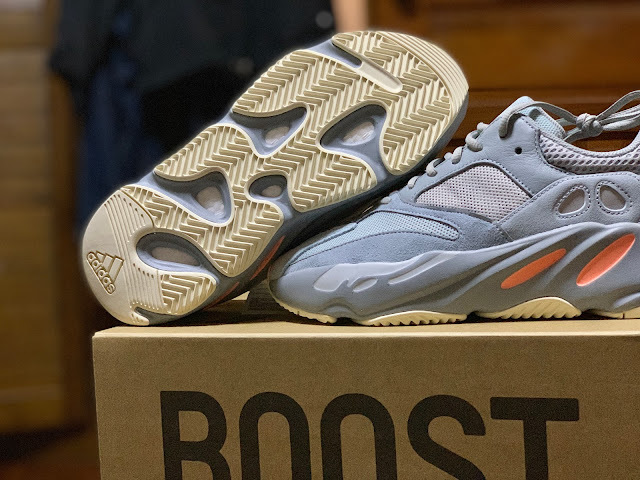 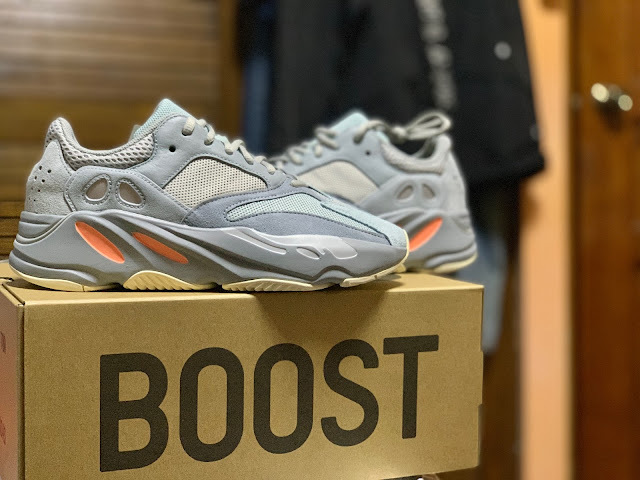 Today I just collect the Yeezy 700 Inertia from Limited Edt, and I wanna share some pictures that might be helpful for some who's considering getting a pair. 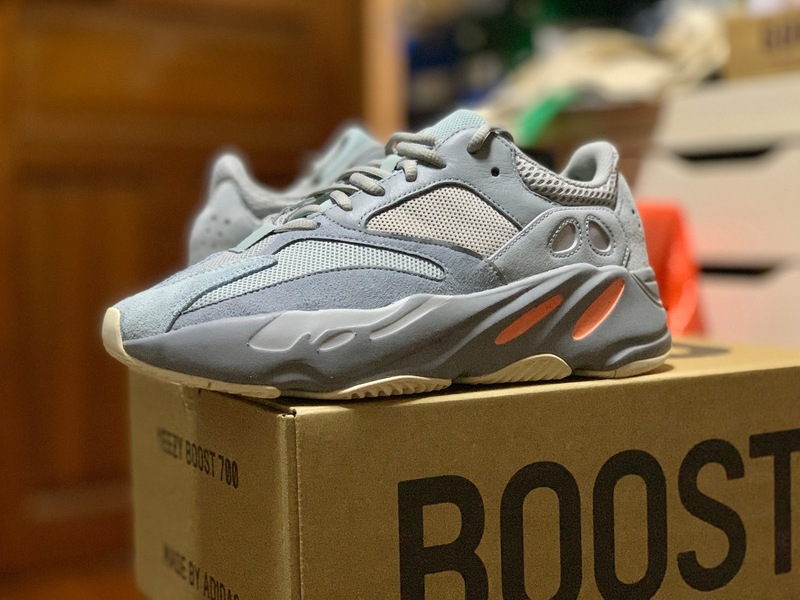 Used them for legit checking, or whatever you know. Check the details and stuff, see if the pair you're getting look any different from mine. Check the outsoles, the boosts, the "YEEZY" stamp on the inside beside the size label. 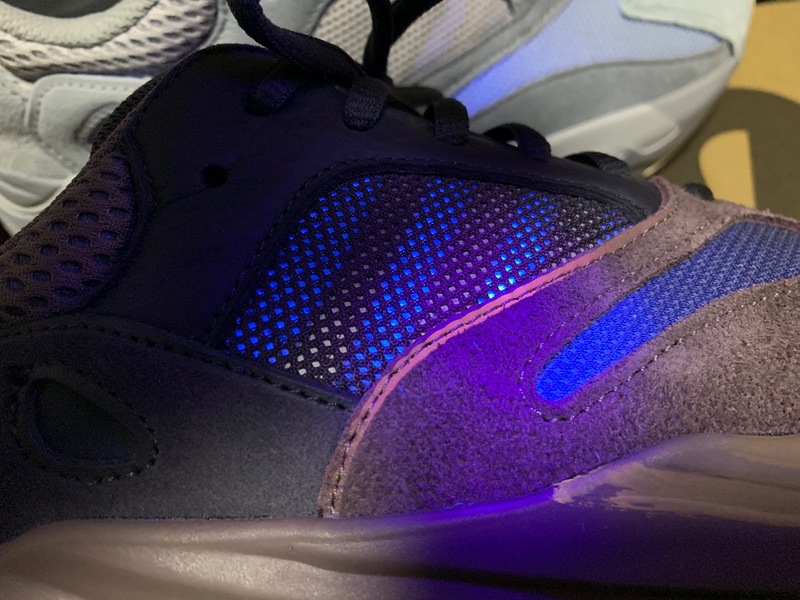 Here's also 2 nearer look at the sneaker. 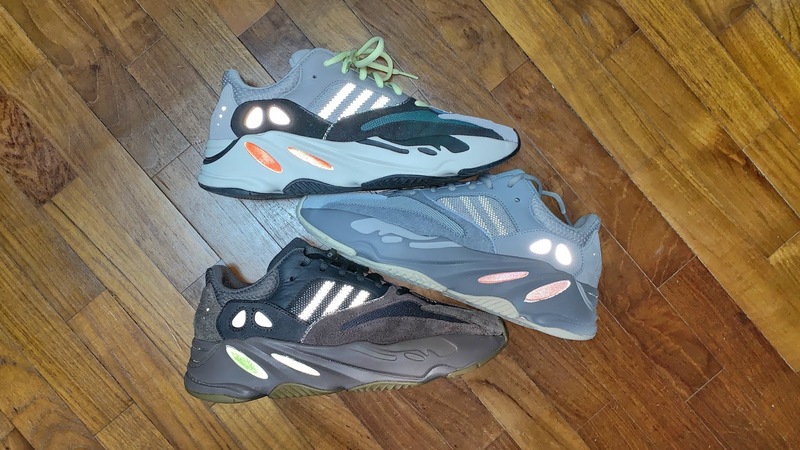 Here's something I realise, under the blacklight, the 3 stripes doesn't appear as prominent as the Wave Runner and the Mauve(below). But you can still see them under flash as seen on the very first picture above. So just in case any of you are using blacklight to LC your Inertia, this is not an issue nor is it a fake pair, don't lose out on a good deal because of this.